Another year of music–of festivals and torn-up campgrounds, sold-out shows and underground shows, new albums, debut albums, and final albums, dance parties and whiskey–has come to an end. This description alone says nothing about 2011 that sets it apart from any other year. But for me, this year was a particularly enchanting one in terms of musical experience. I’ve narrowed a year’s worth of music down to 12 albums, one for every month of the year. A list like this has potential to explode into a dozen album reviews, but I’ll try to keep it quick and simple. I started off 2011 completely obsessed with LCD Soundsystem. No other act builds its songs so meticulously and then tears them down in such a precise and chaotic fashion. Mastermind James Murphy knows how to work an audience: he calculates their anticipation, teases listeners’ nerves to an inch before the breaking point, and finally lets them loose with clusters of up-tempo, syncopated beats. LCD Soundsystem’s music is at its best on the group’s farewell effort, London Session, a live album recorded and released at the end of 2010. I carried this album into the new year with me because of its raw, stripped down sound (and by stripped down I don’t mean minimal.) Compared to the LCD’s live show, this recording is streamlined, smoothed out, and perfected. It captures the best of LCD Soundsystem with all of its best songs. My favorite moment on the album is “All My Friends,” a dance anthem that will always bring back the energy of the beginning of 2011. Radiohead. Photo provided by Radiohead. I waited a long four years for a new Radiohead album. Honestly, I’m always waiting for a new Radiohead album. The indie-alternative and highly experimental band wears the crown as my all-time favorite music act. Word of a new album by Thom Yorke and friends had been circling throughout music news for the better part of 2010. I checked the band’s website everyday for probably three months straight, hoping to find a new album available for download, a release date, or any sign at all of new material. Last year came and went with no further news to speculate on. Finally, my Radiohead fixation was fed with the February release of King of Limbs. 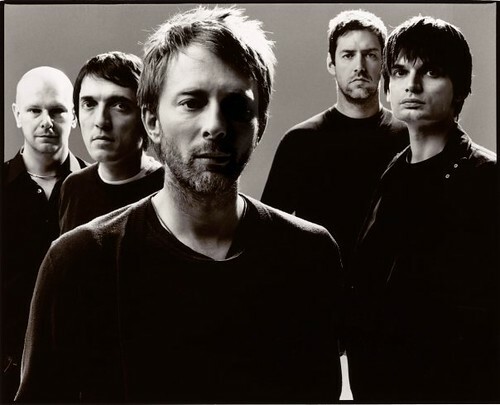 Some criticized the album for offering nothing new, for being more of the same old Radiohead. Right. It’s not a breakthrough album, like OK Computer for instance, but I won’t criticize an album that offers me a sound I already grew to love. King of Limbs is a completely natural album in the sense that it sums up the evolution of a band whose sound has already changed and shifted several times. There are gorgeous, haunting moments on this album, particularly in the song “Codex,” that resonated with me long after hearing them for the first time. The album’s progressions of frenzied–not confused, but hectic–pattern beats often take on phantom qualities, disappearing into a cluster of noise and then separating into distinct rhythm sections. February was a cold month for San Francisco, and King of Limbs was my ideal soundtrack for quiet and cozy contemplation. Jason Shwartzman’s project Coconut Records was a pleasant surprise for me. The indie pop-rock band had been making music since 2006, but I heard its music for the first time in March of this year. I instantly took to the band’s sugary, melodic pop and Shwartzman’s sharp lyrics kept me interested. Davy, Coconut Records’ 2009 studio album, is a clever demonstration of Shwartzman’s songwriting talent, particularly on the album’s opening tracks, “Microphone” and “Drummer.” His matter-of-fact vocal delivery is paired perfectly with his witty lyrics, resulting in an untroubled but carefully crafted record that gave me a burst in morale during a somewhat dragged-on month. 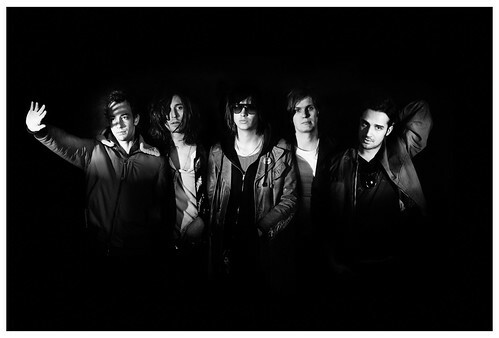 The Strokes. Photo provided by RCA Records. After five years of hibernation, The Strokes finally released its fourth studio album Angles, at the end of March–just in time to headline the Coachella Valley Music and Arts Festival. Regrettably, I did not make it out to the desert this year, even though some of my all-time favorite acts were headlining (see album choice for May) and a string of groovy up-and-coming indie bands secured daytime slots (see album choice for June). I consider Angles my extremely lucrative consolation prize for missing the band play the Coachellas Stage. The album steps away from The Strokes’ usual guitar rock and into a broader sound that is, at times, unrecognizable from the band’s earlier work. The use of vocal layering on tracks like “You’re So Right,” makes Julian Casablancas’ usually gaudy voice seem almost ethereal, while the song “Call Me Back” is a lovely tune of minimal instrumentation that really showcases how good a vocalist he is. Glimpses of the band’s original sound come out in between the album’s electronic-pop overtones, but there’s something really intriguing about this new dimension of The Strokes’ music. I remember Angles for its multiplicity, and how it filled the deep void of Coachella ’11. I really can’t say enough about this next album. As if Arcade Fire hasn’t already received enough attention for its 2010 Grammy Award, not to mention the attention it got from a website protesting that Grammy (who the hell is Arcade Fire? 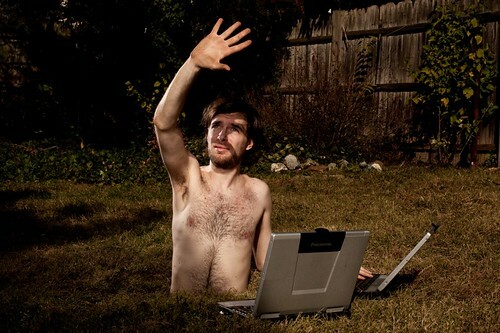 ), I’m going to give my two cents on the reigning indie-pop act. I absolutely adore the band for several reasons. Its orchestra-like repertoire of instruments transforms already well-written songs into full-blown, epic rock symphonies. The simple but enticing keyboard riffs the band uses in most of its songs act like sprinkles on top of ice cream, adding texture, crunch, and playfully sweet highlights. Arcade Fire also knows how to slow it down, use minimalism, and focus on vocal performances. The band’s musical excellence shines on its critically acclaimed 2010 album, The Suburbs. Capturing the monotony of suburban life and the pain and nostalgia of youth, The Suburbs serves as an anthem for anyone who has ever felt bored or trapped by establishment, whether it is a town, school, or a thankless job. The album holds ideas of dread, loss, and death, but also projects an undeniable optimism. Approaching the last summer vacation of my life, I listened to this album almost exclusively throughout the month of May, and it will always remind me to enjoy myself. Little Dragon was one of my favorites acts of the year and not mainly because front-woman Yukimi Nagano is one of the coolest people around in the music scene. Throughout three studio albums, the band utilized elements of soul, electronic, and funk to create its own brand of synth-pop. Ritual Union, released in July during the peak of summer, is an uptempo album that offers sharper beats while still maintaining Little Dragon’s smooth and gentle approach. In moments of hushed intensity, Yukimi’s voice emits the perfect ratio of rasp and punch, resulting in a vocal performance that is even more dynamic than the band’s previous album, Machine Dreams. The album suited San Franciso’s cold July, but its funky electronic beats also maintained a relaxed summer mood. The last month of summer was another cold one. I had spent my entire summer in San Francisco, marking the first time in my life that I spend an entire summer away from home. Even though Beirut‘s third studio album, The Rip Tide, came out right at the end of August, it reminds me of the dwindling summer and a transition back into the grind of school. The album is arguably Zack Condon’s least extravagant album, but it still exemplifies the exotic instrumentation that makes Beirut one of my favorite folk acts. So even though the leaves in California don’t really change color in fall, The Rip Tide‘s worldly drones and whistles brought Autumn to San Francisco. Cass McCombs‘ 2009 album, Catacombs, has been a favorite of mine all year. I would use one of the two albums he released in 2011 for this list, but I really can’t get past this one. The simplicity of Cass McComb’s music is almost unnerving in the sense that he conveys universal emotions with bits of instrumentation and uncontrived lyrics. Particularly on Catacombs, the gentle fabric of his voice somehow becomes a commanding force. Cass knows exactly how much extra finesse to add or hold back in his vocals to perfectly tie together various elements of sound. The hushed guitar licks and prominent percussion on “Don’t Vote” result in a dreamy sound quality that makes me feel as if he’s playing in the next room. The authenticity I feel from this album makes me nostalgic for something I can’t really put my finger on. Maybe because September marked the beginning of my last year in school, or maybe because the fall just makes me sappy. Girl Talk. Photo by Paul Sobota. October of 2011. The month I had been waiting for my entire life. The natural soundtrack for my 21st birthday month was Girl Talk‘s All Day. Honestly, before Girl Talk, I never really saw the appeal of mashups. Why not listen to the real song without all of that extra production noise? That’s still how I feel about most mashup artists, but All Day takes the best parts of the best songs and somehow makes them fit together. I first heard the album while driving in Los Angeles during a particularly warm December day, and the 1980s back beats paired with Jay-Z and then Radiohead and then Arcade Fire made it feel like summer in southern California. The album brought this feeling to San Francisco during what was probably the warmest month of the year. The continuous 71-minute file consisting of exactly 372 different samples acted as the perfect soundtrack to a ridiculous, month-long 21st birthday celebration. Other Lives. Photo provided by Tell All Your Friends PR. I first heard Other Lives back in September when the band opened for Bon Iver at the Greek Theatre in Berkeley. The band’s 2011 album Tamer Animals is a masterful display of instrumental, ambient/indie rock. 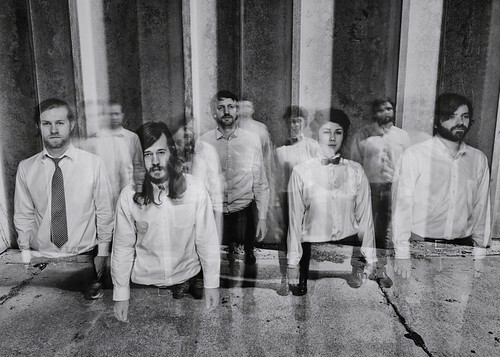 Other Lives uses torrents of percussion and weaving harmonies to create an atmosphere of sound that flows in and out of one song to the next. On the opening track of Tamer Animals, “Dark Horse,” the band uses a steady progression of brass instruments, some providing the track with a steady beat and others adding quick flourishes of licks. Songs like “Old Statues” transition back and forth between minimalism and full-bodied guitar riffs, pulsing keyboards, violins, and textured harmonies. Tamer Animals has a haunting effect to its songs, and its wistful instrumentation and pensive vocals remind me of late night and early morning study sessions. The album made finals cramming season a bit more enjoyable. My choice for December isn’t an album, but since we’re only halfway through the month, I figured it would be appropriate to use RACES‘ 2011 single. Prior to last week, I had no idea of the indie rock band’s existence. I had already purchased tickets to see the White Arrows at the Brick & Mortar when my sister told me to go see a band called RACES, conveniently the White Arrows’ opening act. Originally coming together for a one-time performance, the Los Angeles-based band was formed in 2009 by six musically inclined friends whose cohesive and reverbed sound quieted the crowd at the Brick & Mortar for the duration of the the band’s 40-or-so minute set. Lead singer Wade Ryff’s resonating voice is something I haven’t quite heard before, and his three-part harmonies with percussionist Devon Lee and keyboardist Breanna Wood warmed the rigid San Francisco air and made the small venue feel like The Fillmore. I left right after RACES’ set so I could find an ATM and buy its “Big Broom”/”Living Cruel & Rude” single. Every instrument on this recording is distinctive and adds to RACES’ swaying and billowing sound. You can check it out on bandcamp. Seriously, do it. The interplay between lead and rhythm guitar on “Big Broom” is worth hearing. Let us know your thoughts! Keep a tab on these bands and more by tracking them on eventseekr.com. Follow us on Twitter and like us on Facebook to give us a shout. You can also stay on top of exciting events from around the world by downloading the eventseeker app for iPhone, Android or Windows.